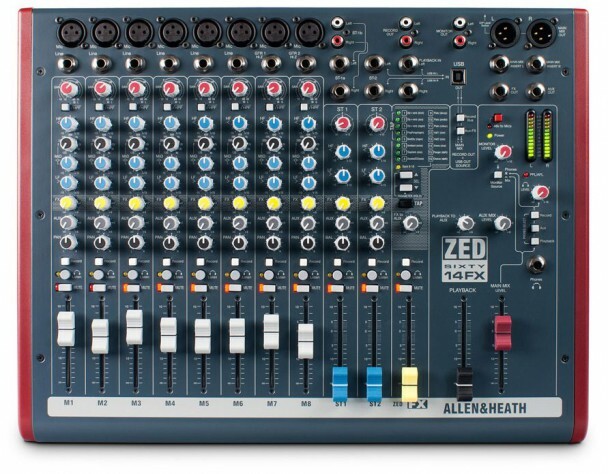 We are pleased to announce that we have added the new Allen Heath ZED60-14FX compact mixer for use with our PA systems. The ZED-60 offers 14 inputs with 8 mic channels, 2 stereo line-level channels and a stereo playback input. It provides XLR main stereo outputs with inserts, 16 internal effects, headphone monitoring, separate monitor outputs, 48V phantom power, and DI level switching for sub mixing. Its also has an USB send and return for use with a Mac or PC. The ZED-60 replaces the smaller ZED-10 allowing Datarhyme to offer professional mixing features with its smaller PA systems.